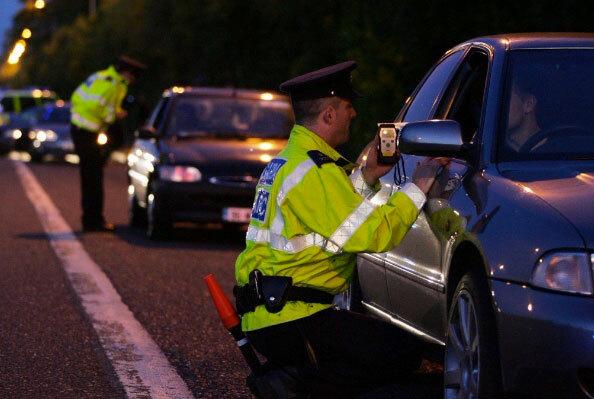 McSweeney Solicitors are specialist drink driving solicitors in Dublin and have the expertise to give you the best possible legal advice and representation. We have extensive experience in the complex and technical area of drink driving prosecutions and related offences. We fully appreciate that for most people being arrested and prosecuted for a drink driving offence is an extremely stressful and worrying experience, especially for those who have little or no experience of going to court or may have never been in trouble with the law before. A court conviction for drink driving can have very serious and far reaching consequences for an individual. A court conviction will result in a mandatory driving disqualification (i.e. losing your licence), a fine, and a court can even impose a custodial sentence. In addition, if you require your driving licence for your job this can lead to the loss of employment with all the hardship and financial difficulties this can entail. Download the spreadsheet for more information on Drink Driving cases. I am being prosecuted for drink driving but unsure what to do? This is probably the most common question we get asked by prospective clients. Many people automatically assume that the drink driving charge they are facing is ‘open and shut’, often assuming that their only option is to plead guilty and accept a mandatory driving disqualification and fine because their breath/blood/urine reading was over the legal limit. 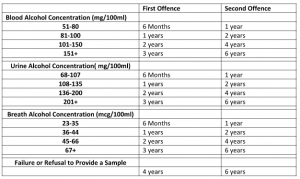 However, even if your sample was over the prescribed limit it is nevertheless the case that An Garda Síochána must follow strict procedures in relation to the arrest, detention, and taking of evidential specimens of breath/blood/urine from a suspect. 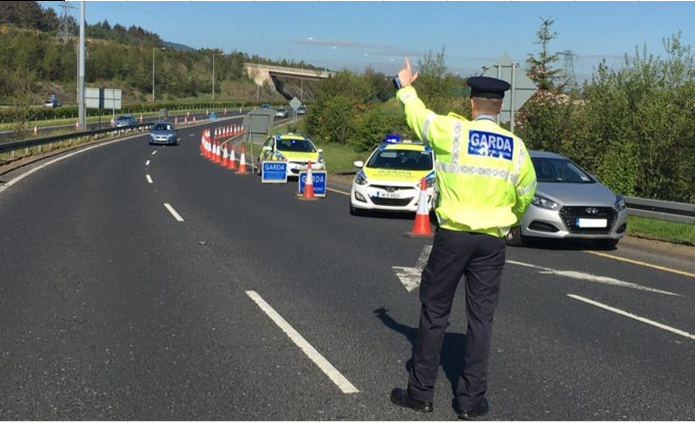 If there is a failure on the part of the Garda to follow these strict procedures this may provide a technical defence to a drink driving charge which could result in an acquittal. We would therefore strongly recommend that you contact us as quickly as possible (preferably before the first court date) to obtain expert advice on your case and your options. But what if I have already decided to plead guilty To drink driving? 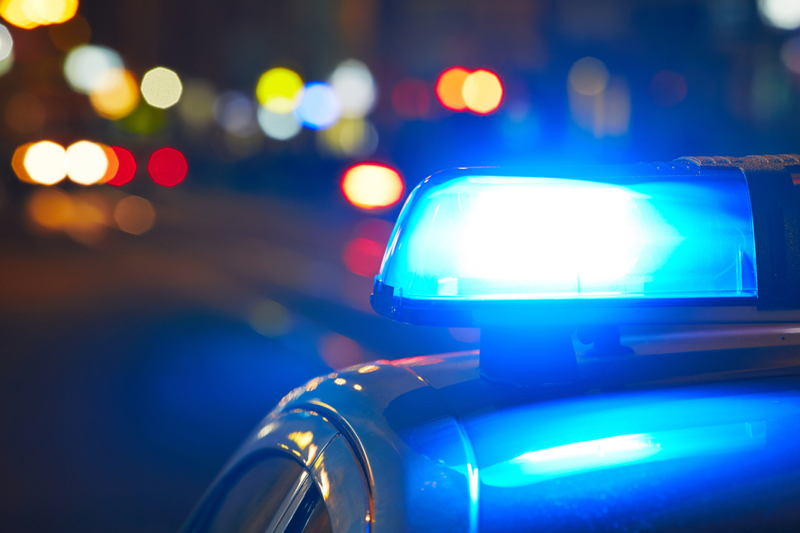 Even if you have already decided to plead guilty to a drink driving charge appearing in court without professional representation in your corner can be an intimidating and stressful prospect. McSweeney Solicitors can help you take some of the stress out of appearing in court as we will do all of the talking at the court hearing on your behalf. A pre-hearing meeting to discuss your case and court procedures. Advice on the likely outcome of your case ensuring you are fully prepared. Professional representation at the court hearing by an experienced drink driving solicitor, including the entering of a plea of guilty and making a plea of mitigation on your behalf. Even though we cannot prevent you receiving a mandatory driving disqualification as the Judge has no discretion not to impose a driving ban, a good plea in mitigation can make a significant impact, minimising the fine you receive. A driving ban will automatically commence on the 15th day after conviction, but if you have special reasons relating to your personal circumstances (including your employment) we can apply for a short postponement of your driving ban up to a maximum of six months. Our fixed fee service for persons charged and pleading guilty to a drinking driving offence at the following District Courts: Dublin City, Swords, Tallaght, Dun Laoghaire, Balbriggan and Bray is €500 plus VAT. Quotes for other court areas are available on request. How can you help me if I want to challenge/defend a drink driving offence or refusal/failure to provide a specimen? We are specialist drink driving defence solicitors with a wealth of experience in defending drink driving cases. We will represent you fully to ensure the best defence is put forward on your behalf. We will meet you to take full and detailed instructions and then apply for disclosure of all statements and evidence from the prosecution on the first court date. We will then review the prosecution evidence, send papers to a barrister specialising in drink diving law and prepare for the court hearing. At the court hearing we will be with you every step of the way and ensure you are given the best possible chance of keeping you on the road. We are also pleased to offer a competitive fixed fee service for defended drink driving prosecutions. Can I apply for my driving licence to be restored early? Yes, you can apply to court for the early restoration of your driving licence after you have served half of your disqualification period, provided your disqualification is for more than 2 years and was the only other disqualification imposed on you within the previous 10 years. Since the introduction of the Road Traffic Act 2010, a person must serve a minimum of two-thirds of the original disqualification or 2 years, whichever is greater. In practical terms, this means that a court can no longer order the early restoration of a driving licence unless the original disqualification was for 3 or more years. We offer a fixed fee service for early restoration applications at the following District Courts: Dublin City, Swords, Tallaght, Dun Laoghaire, Balbriggan and Bray is €750 plus VAT (this includes courts fees & miscellaneous charges). Quotes for other court areas are available on request. What factors does the court consider when deciding to grant or refuse an application for early restoration of a driving licence? Did the person surrender their driving licence and pay any fine? Did the person drive during the period of disqualification? Does the person have a good reason for applying for the early restoration of their driving licence? e.g. work or health reasons, family circumstances or some other hardship. What are the penalties for drink driving offences? Penalties on a conviction for a drink driving offence will depend on a number of factors, including the level of alcohol concentration detected in your blood/urine/breath specimen and whether it is a first offence or not. The maximum fine is €5,000 and/or six months imprisonment. What is the Fixed Penalty Notice Procedure? In certain circumstances a driver may receive a fixed penalty notice in lieu of a court prosecution for a drink driving offence. The alcohol concentration detected in the driver’s blood/urine/breath specimen will determine eligibility to receive a fixed penalty notice. In addition in order to be eligible to receive a fixed penalty notice, the driver must hold a valid driving licence and not have availed of a fixed penalty notice in the previous three years. If you have been involved in a road traffic accident and are considering your options to pursue your legal rights to make a personal injury claim, why not avail of our confidential and no obligation legal advice on whether you have a valid personal injury claim? McSweeney Personal Injury Solicitors have built up substantial experience and expertise handling all types of accident at work claims. If you’ve been injured as a result of an accident at work within the past two years then you may be entitled to claim compensation for your injury and out of pocket expenses. Contact Us Today! McSweeney Personal Injury Solicitors are experts in cycling accident claims in Dublin. If you have been injured, get in touch today for more information. McSweeney Personal Injury Solicitors are experts in motorcycle accident claims in Dublin. If you have been injured, get in touch today for more information.